Few Months after the release of "Hot Praise & Worship Vol. 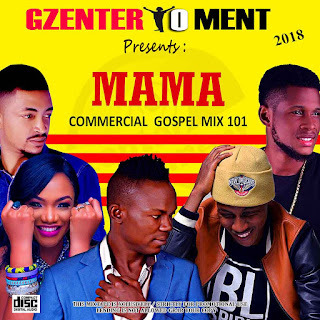 1 & 2" (Hosted By Gzenter10ment) which got Massive downloads online and aired on top radio stations, just when we thought they went calm, Gzenter10ment seems Pretty geared up as they unleash their very first Commercial Gospel Single for 2018 titled "Mama Mixtape 101" And Trust me The vibes in this very compilation is a must listen for ever Street gospel lover's. The "Mama Mixtape 101" is a compilation of the hottest & trending Street Gospel songs in Naija Presently. Download, Listen, Drop your comments, while we await their next release "Hot Praise & Worship Vol.3, Watch out!! !